Traditional orthodontic braces make it easier for food debris to get stuck in your teeth after you eat. Those food particles could turn into plaque and bacteria build-up. In turn, plaque and bacteria can lead to cavities and tooth decay. These issues could easily hinder the whole process of aligning your teeth with the braces. 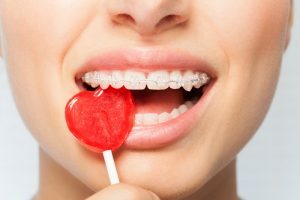 ● Don’t eat sweets and chewy foods that can get stuck in your braces. Sweets are the primary reason for cavities, and chewy food makes it harder to take away from your braces. ● Get a toothbrush made especially for people with braces or be more thorough with brushing. There are electric toothbrushes, which provide more power for teeth cleaning. These sets often have interdental floss and tools for areas your brush can’t reach. ● Drink plenty of water after you eat which helps wash away the food particles. Make sure you do this especially after eating sweets! Perhaps the most important tip of all is to continue seeing your dentist and orthodontist. You’ll likely have an appointment with your orthodontist monthly for braces adjustments. However, you can make your appointment more often so that your orthodontist can check your teeth and gums for any issues. Remember, if you have any questions, just give your orthodontist a call. And of course, never forget to maintain healthy oral hygiene by brushing and flossing daily! When you have braces, you’ll have to a few minor adjustments to your diet. 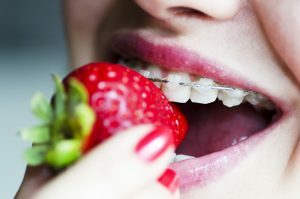 During the first few days after you get your braces on, you will want to stick to eating soft foods that don’t require you to bite. 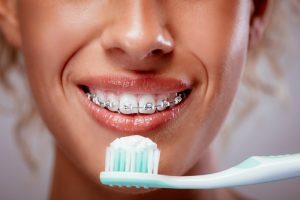 How can you stay healthy with a balanced diet while you have braces? First, it’s important to know which foods you should avoid while you have braces. In general, you should avoid any foods that may stick to your braces. You still have options when it comes to healthier food options, so keep an open mind to exploring some new, healthy, and braces-friendly foods! Apart from looking for viable options, having braces is also a great time to improve your diet and how you eat. For example, you won’t be able to eat apples by biting into a whole apple. However, you can slice them into small pieces, which won’t be as tough to chew. For carrots, you can steam or roast them so they won’t be as tough but will still have the vitamins and minerals that are great for your body. You can still enjoy corn, just not on the cob. If you want cookies or hard bread, you can dip them in warm milk or soften them, which will make them easier to bite into. Keeping your teeth and gums healthy requires a conscious effort. In addition to following a regular cleaning regimen, you should also watch what you eat and drink. There are certain types of food that are more likely to wreak havoc on your tooth enamel than others. Here are the ones you should limit or totally avoid. If you’re seriously concerned about your teeth, perhaps this is the time to set a limit on alcohol intake. Alcohol dries out your mouth, so when the saliva runs out it fails to do its job of washing off food particles. This can lead to enamel decay, gum disease, and other periodontal infections. Soda or pop contain plenty of acid to ruin your teeth’s enamel. The more of it you drink, the more you’re essentially bathing your teeth in acid. That’s not to mention that dark-colored drinks can stain and discolor your pearly whites. Similar to alcohol, it also dries out your saliva. Citrus fruits like lemons, grapefruit, and oranges are rich in vitamin C but their high-acidity can also wreak havoc on your enamel, making your enamel more prone to erosion. However, these fruits should still be part of your daily diet, so just be sure to wash them off with water afterward to protect your teeth. Candy is bad for your teeth, but sour gummy candies are even worse. They can stick to your teeth, which destroys your enamel. Other types of food that can affect the integrity of your teeth include bread (which can stick into the crevices of your teeth), ice (particularly when chewed), coffee (which can cause staining), and many more. While there is no need to stop enjoying food that you love, the point is to always wash them off with water after. Better yet, make it a habit to brush and gargle after every meal. Studies have shown that orthodontic treatment not only gives you a great smile, but can also improve your posture and balance. Researchers based in Austria and Spain have made a link between malocclusion, the misalignment between the teeth of the two dental arches when they approach each other as the jaw closes, and a person’s ability to maintain good posture and balance. In the research, carried out on ten individuals, it was seen where posture and balance were improved when malocclusions were fixed. This link was explained using neurophysiology, a branch of psychology concerned with the nervous system. According to an article in the daily mail, “The link may be because the main nerve responsible for chewing – the trigeminal nerve – is closely linked to the vestibular nucleus, the part of the brain responsible for balance control, as are the neck muscles and our jaw muscles”. One of the main researchers in the study, Sonia Julia Sanchez, said that the ability to control posture comes from “a system of sensory and motor elements arising from visual, somatosensory and vestibular information”. She recommends that the wider population, especially athletes, correct their dental occlusions for better postural and balance control. 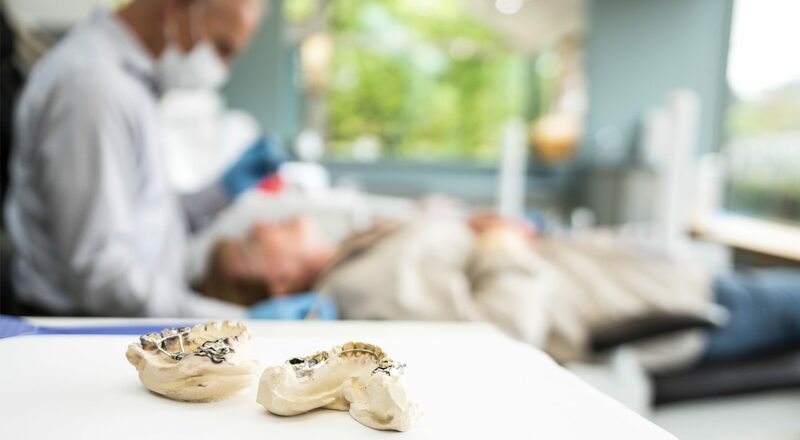 This study made more concrete the need to visit our dentists and orthodontics regularly as they are responsible for much more than our teeth. 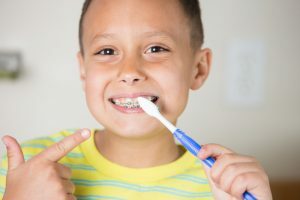 Oral health has not only been connected to posture and balance, but proper speech, breathing, and self-confidence. With the advancement of medical care, we now have many options available for proper care of our oral health. 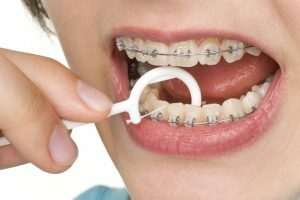 Once your braces are fitted, you need to adjust your diet to get the best out of your treatment and avoid broken brackets or wires, and of course, to avoid cavities. While you should focus on avoiding sticky, hard foods, sodas are often overlooked and are a prime cause of dental problems that can trigger plaque buildup and acid attacks on enamel, that may cause tooth decay. Reducing or eliminating soda altogether is a good move for many reasons. Sodas have a high sugar content that creates acid in the mouth that attack young teeth in particular, because the enamel is not fully developed yet. Most soft drinks contain phosphoric acid and citric acid that soften enamel and promote decay. Coffee is known to stain teeth. If you are wearing braces, you are more likely to stain your teeth, which will require additional treatment after braces removal because of the difference in color where the braces used to be. Even then coffee is also a cause for bad breath. People wearing braces are more prone to bad breath because of the food stuck in their mouth. That is why it is always important to clean your teeth by brushing or flossing after every meal. Even if the label says sugar-free, there are still artificial sweeteners and food additives in energy drinks that can cause bacterial growth and tooth decay in your teeth. It is best to just drink water and exercise if you need a boost in energy. As with most food, check the nutritional levels to keep track of the sugar content, and to stay healthy and protect your investment in orthodontal work. When you think of orthodontics, the first thing that probably comes to mind is straightening teeth. Many individuals assume that orthodontics only treat issues that involve the misalignment or the malocclusion of teeth. However, new studies have shown that orthodontics can also assist in treating airway issues. How is this possible? 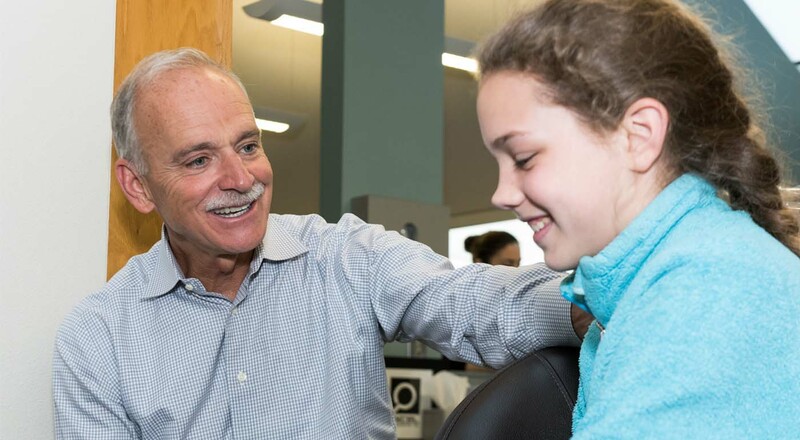 Learn more about airway orthodontics from Dr. Dugoni. There is a relationship between craniofacial development and airway development. Craniofacial malfunction, such as a narrow plate or cleft palate, can result in airway obstructions and breathing difficulties. This makes it harder for a person to breathe through the nose, resulting in chronic and sometimes dangerous mouth breathing. Mouth breathing can lead to potentially serious health issues, such as sleep apnea. Perpetual mouth breathing can also lead to dental deformity, especially in growing children, and can result in molar eruption and lower jaw rotation, amongst other irregularities. It can also dry the oral cavity, resulting in tooth decay, bad breath, and even gum disease. Luckily, this can be fixed by orthodontics. When identified early, orthodontics can limit mouth breathing by gently expanding the jaw, which widens the mouth and clears the sinuses. This will result in easier breathing through the nose. There is even a new branch of orthodontics called airway orthodontics that specifically treats airway issues. These orthodontists look beyond the teeth to the nose, throat, and muscles of the tongue, face, and neck to optimize airway passages. Dental health is important to overall health, and this reminds us how integral it is for us to visit our dentists and orthodontists regularly. One of the most commonly asked questions dentists receive is “will it hurt?” The answer to this question varies among patients because each mouth is unique and everyone has various perceptions of pain. And yes braces can make the teeth, and the surrounding gum tissues in your mouth sore. The good news is that patients respond well to simple pain management strategies. Here are some pain management strategies when you have pain and discomfort due to braces and how to make your experience more comfortable. As you get used to your new braces, your teeth will usually be sensitive and you may experience a dull pain for the first week. Dentists often recommend that patients go on a soft diet during the initial adjustment period. Usually, patients need pain management practices after each time your braces are tightened as well. If the pain is intolerable, you can buy over-the-counter pain relievers such as Ibuprofens. Some patients also find rinsing their teeth with warm saltwater is helpful for pain management. Metal braces are the most traditional type of braces which are made out of metal brackets attached to the middle of every tooth. Your teeth shift consistently and the wiring needs to be modified accordingly. The modifications are slight but can cause discomfort and pain. These braces are similar to metal braces except that the materials used are made out of ceramics. The ceramics help lessen demineralization that often happens to the teeth with traditional metal braces. 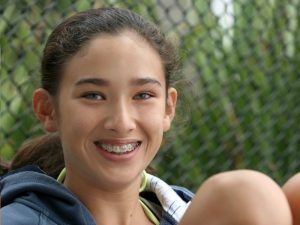 Pain management strategies are similar for these kinds of braces. These are metal braces attached to the back of every tooth. Patients may feel that their teeth are more sore on the on the back rather on the front. However, pain is very minimal and will go away very quickly. Pain management is simple when it comes to braces. A lot of people get braces every year and millions deal with little discomfort, if there is any. If you have a braces emergency, consult your dentist for orthodontic treatment immediately. An emergency usually come with lip and cheek pain, loose bands and brackets, poking wires, missing elastic tie and accidents that cause trauma to your mouth. Many patients find that having braces is easy and the gorgeous smile they receive at the end of treatment is worth all the hassle.